Unfortunately I still did not get Back to the Future II to run on either my A1200 or A600. 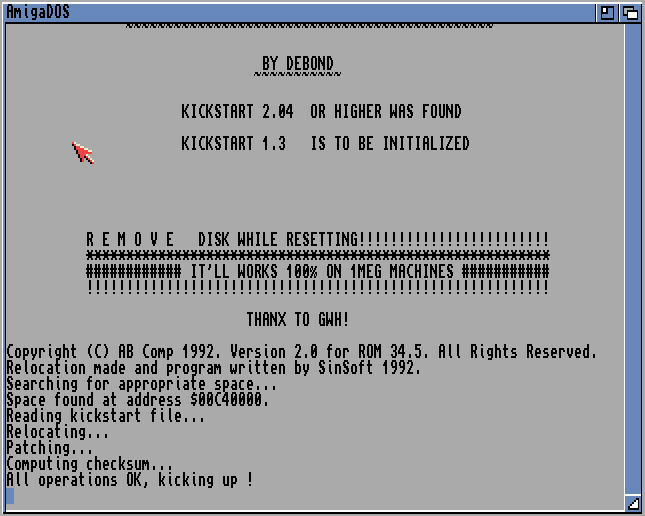 I guess my best bet would be a Kickstart replacement utility on my A600. 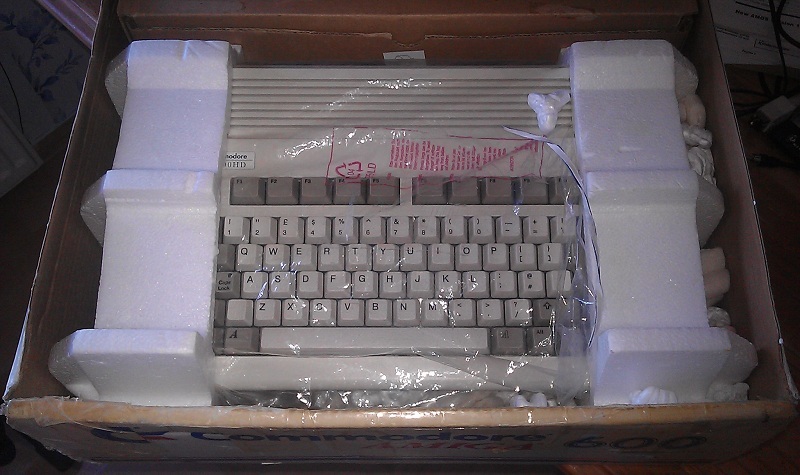 Sadly my 1084 monitor died otherwise I would have used my A500 who for sure will run this game. 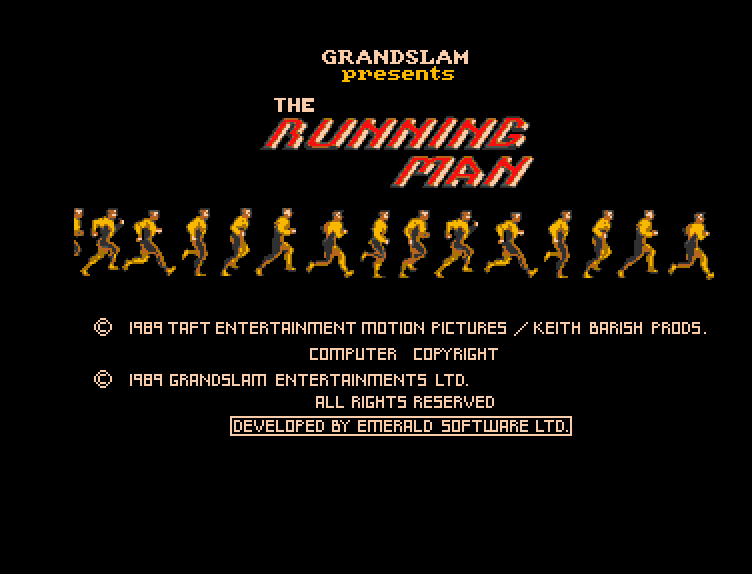 I remember how desperately I wanted to play The Running Man after seeing the movie. Sadly the second disk had a read/write error. I am pretty sure you don’t even get to start playing without inserting the second disk first. I am thinking of giving this game a try soon to see if I missed out or that the read/write error on the second disk was a blessing. 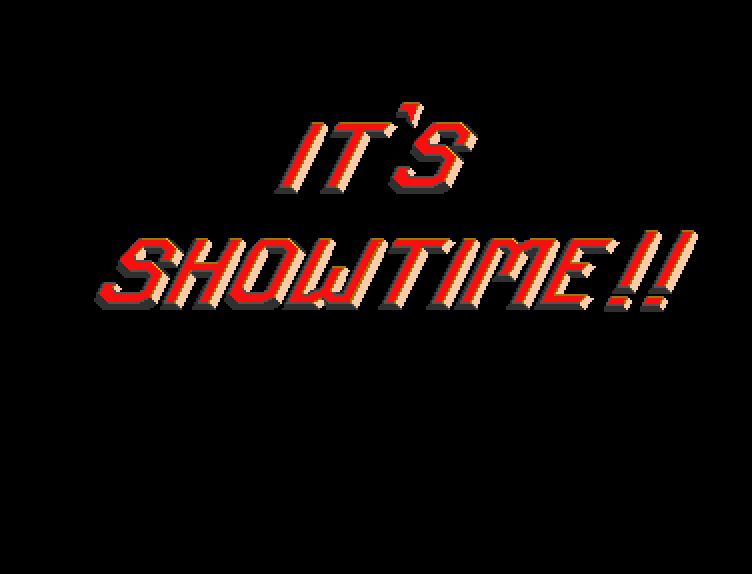 The Running Man – It’s showtime!! I remember this quote from the movie. Richard Dawson (playing Damon Killian) died not so long ago. In my previous column I talked about NCFTP which I started to use since with only 2 megabyte of memory I was unable to run AmiFTP. It is working really great and it is actually a lot of fun working from the CLI. I use FileZilla Server on my laptop to provide a FTP connection to my A1200. Behind me is a desk with a spare desktop ready to be used for Aros. I am really excited to start playing around with Aros. I am going to use the Icaros Desktop which I briefly tested before. I really want to try Aros to the fullest. One area I am really interested in is the emulation. I am curious if and how I run old games and software. Plenty of stuff to write about if you ask me. Time to get started with Aros. In order to transfer files (using a wireless connection) to my A1200 I use AmiFTP on my A1200 and the FileZilla server on my Windows laptop. The problem I have is that I need more than just the standard 2 MB of memory that the A1200 has. Running the AmiTCP stack and AmiFTP requires more than just 2MB of memory. To solve this problem I add extra memory to the A1200. I have two memory boards I can use but with both I run into some problems. They both might work fine for a while but at a certain moment the A1200 will not start with them inserted. Not sure what the problem is but you can imagine it always happens at moments you really need it. I needed a solution which I found in a little program called NCFTP. I don’t think it came with the AmiTCP stack but I actually copied it on to the hard drive. Of course using AmiFTP is easier but getting down and dirty with the CLI is a lot of fun as well. This way I will be able to transfer files to my A1200 with just the standard 2 MB of memory. 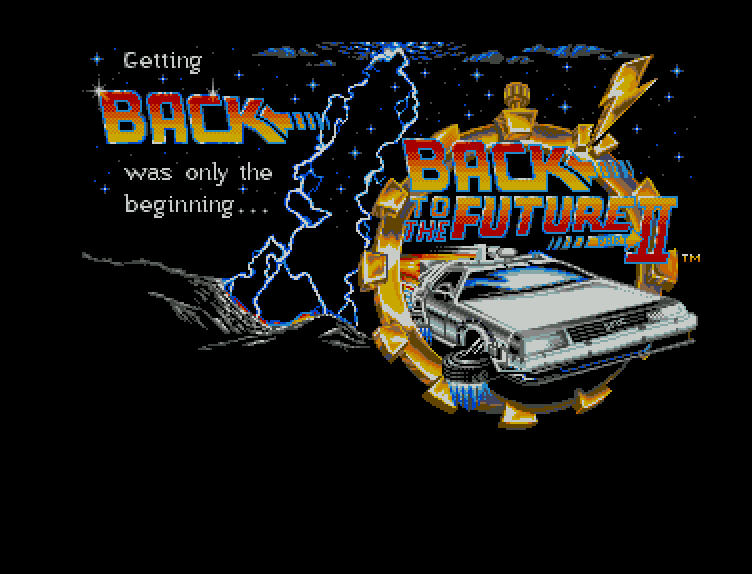 One game I wanted to review for some time already is Back to the Future II. This is one of those games that I love and hate. Today I can hate it and give it a poor score and next month I would love it and give it a high score. Unfortunately it is not running on my A1200. Not even with Relokick that places Kickstart 1.3 in memory. I could not find a WHDLoad version of Back to the Future II. There seems to be only a Back to the Future part 3 version available. I thought I would try Back to the Future on my A600. 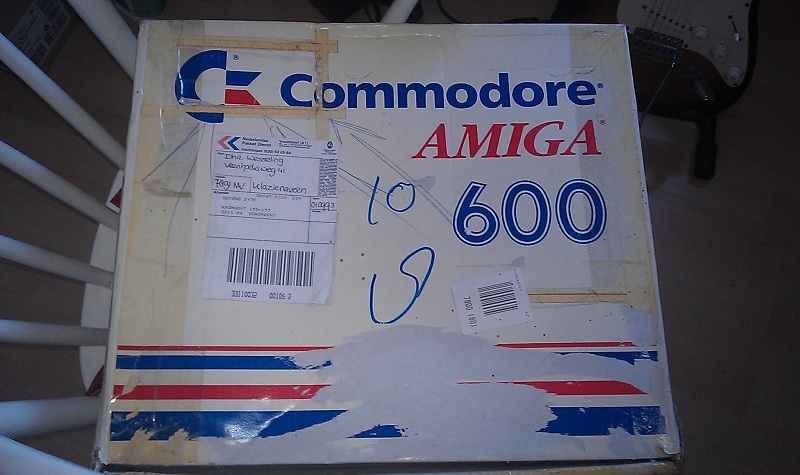 Unfortunately it also does not run on the A600. My Relokick version did not work on my A600 so maybe with another Kickstart replacement utility I can still get it to work. If someone got it to work on their A1200 or A600 please let me know. 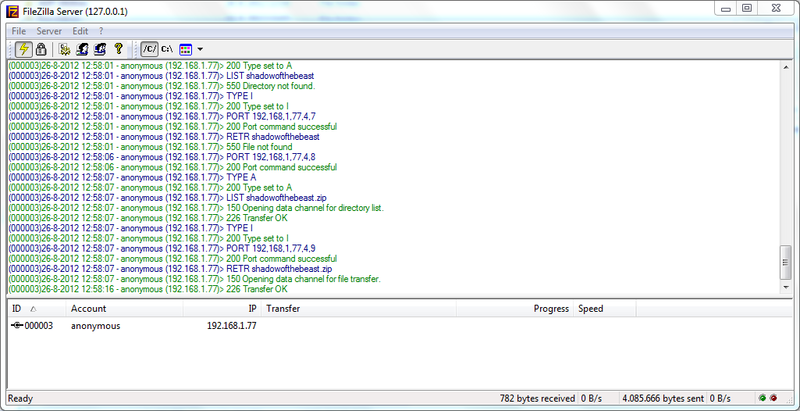 If you know about a WHDLoad version please let me know as well. I might give it a few more tries later this coming week. I tried it today but with 35 degrees Celsius I put it on hold since it feels like a bloody oven inside and outside. Hyperion released AmigaOS 4.1 Update 5 and I noticed that the AmigaOne SE is not on the supported hardware list anymore. I have not tried to install it myself yet but so far one A1SE user confirmed he managed to install it without any problems. So that at least is some good news. I will try to install it in the next week and of course report about it. Time to get some cold beer and sit in the shade with this hot weather.